It's been 3 months between running highlights posts. In part, this reflects the challenges of running in winter. 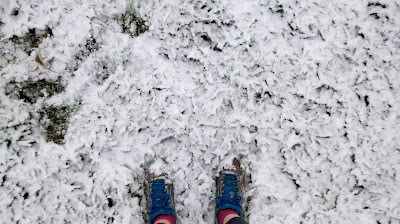 There have been some beautiful moments - like running in snow, and on clear crisp mornings with the sun coming up - but also lots of grey skies, drizzle, and mud. 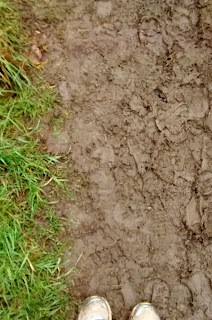 Mud is a new challenge for me as this is the first winter I've run in England outside of a city. 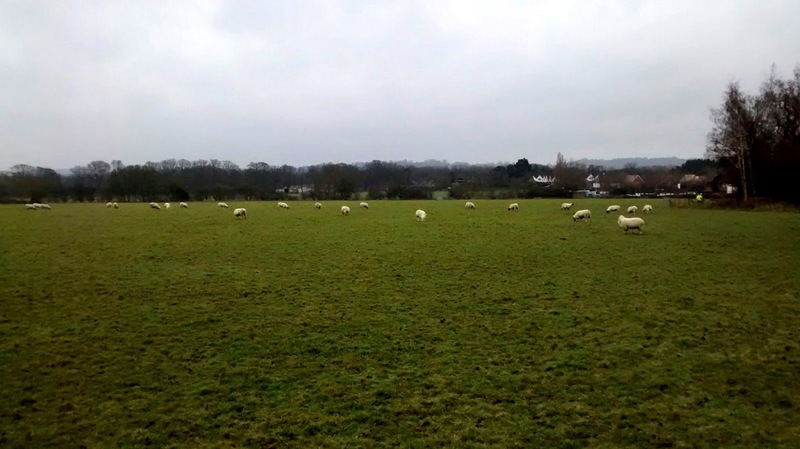 London parks provided mud too, but the Kent countryside excels at it! However, I have hit on a couple of scenic routes that are mostly mud-free. It has also been 3 (nearly 4) months since I received a Garmin Forerunner 225 as a birthday present. Today's post combines one winter route highlight with some reflections on the new watch. My favourite winter-friendly run starts where so many of my runs do, in the Barden Park at the centre of Tonbridge. 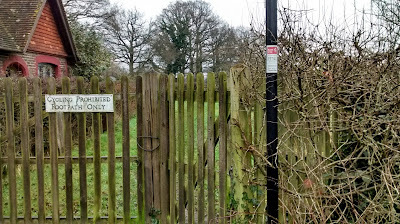 After following the River Medway out of Tonbridge, you bear off to the right instead of taking the woodland paths through to Haysden Country Park. 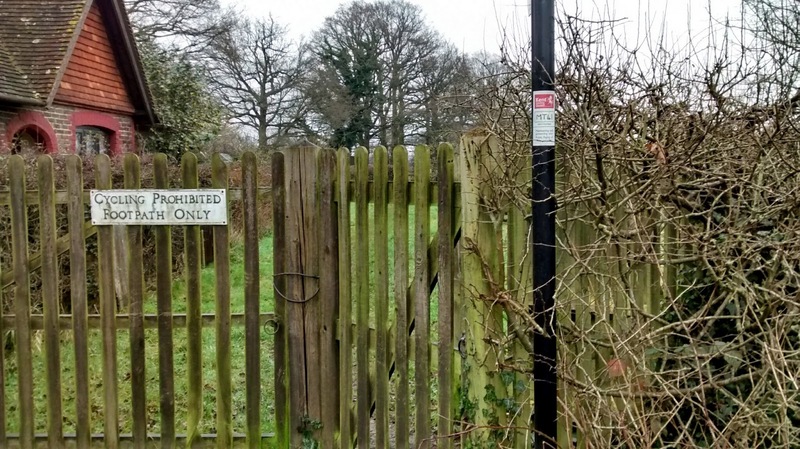 This takes you past a private lake up to the small Powder Mills road and the edge of the hamlet of Leigh. Here, you turn right to start a large loop back towards Tonbridge. Up until this section the run is mostly on firm (packed dirt) but off-road trails. 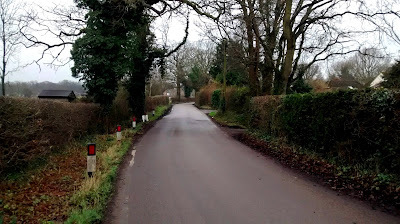 There is then a brief road-based section where hardly any cars pass, and I've always felt safe running face on to the traffic here. ...emerging by fields of sheep on a firm dirt track that is perfect for running on. This same track takes you around a bend, past another impressive house, and under a railway bridge. 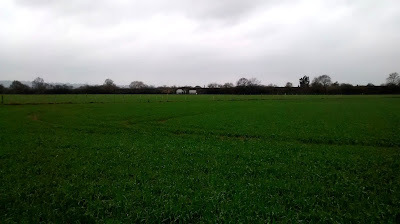 After the railway bridge you run past crop fields, and this is where you are vulnerable to a small section of mud. The initial path along the fields is fairly firm and in my experience not too bad, but you then have a choice of continuing across country and through the back of Tonbridge School playing fields - where you are liable to encounter quite a bit of mud - or branching off to join the streets of Hildenborough, where you are liable to encounter a brief section of mud. I normally take the Hildenborough route, which means I have a small muddy patch that is still quite manageable, and then finish my run on suburban streets. 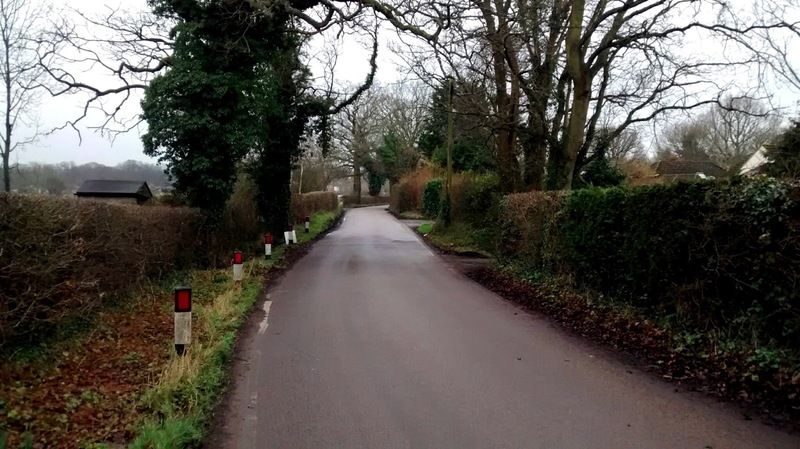 This loop is about 6 miles, although the specifics will depend on where you start and finish, and it could be stretched or shortened if needed. Turning to the Forerunner 225, my simplest summary is that I really love this watch. I chose it because it can monitor heart rate through the watch - through your wrist - and I love the ease of getting heart rate data without needing a clunky and uncomfortable chest-based strap. In my experience the heart rate is accurate, and certainly more accurate than I ever got with a chest strap. For running, you get great statistics including pace, cadence, heart rate (maximum, minimum, average), split times per mile, and maps of your route along with graphs of your performance along the way. I've also adopted the watch as my general day-to-day watch and when worn in that way you get your step count for the day, an alert (through the watch vibrating) if you've been sitting / inactive for more than an hour, and data on your sleep if you wear it at night. The screen is easy to read and whilst the watch is clearly a sports watch, it doesn't look too clunky on my wrist. Day-to-day statistics and basic running statistics are saved on the watch, and more detailed data and graphs then come on the Garmin Connect website. It's easy syncing the watch either via bluetooth on your phone or by plugging it into your computer to recharge the battery (which tends to last for the better part of a week in my experience). 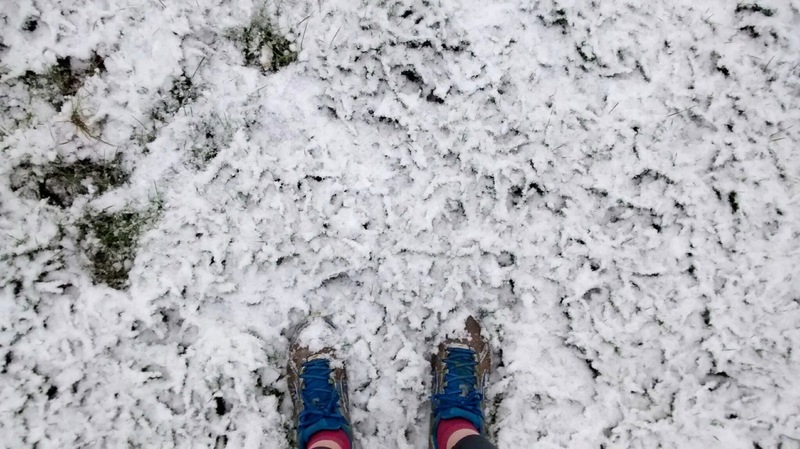 So there we have it - some of my running highlights this winter, both running-specific and technological. What activities are you enjoying at the moment? 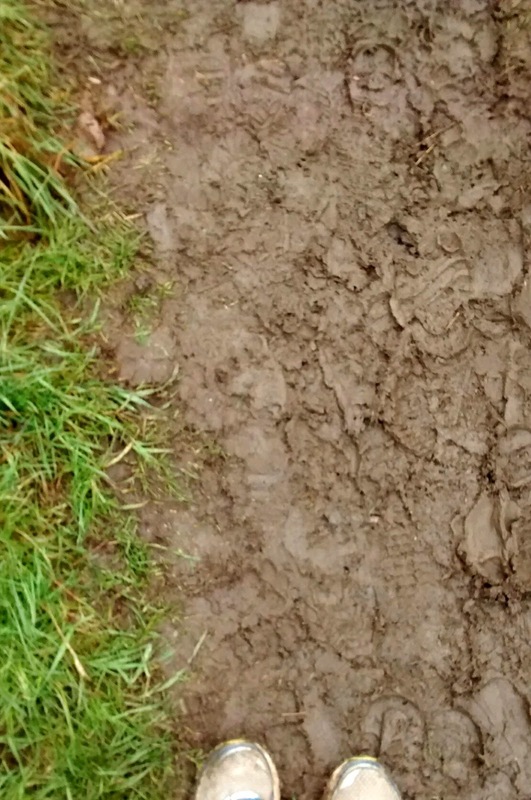 Looks like a nice route albeit muddy. Any tips for cleaning the mud off your trainers? If only they could get a watch to do it for you - sounds like your one does almost everything else on the run - v impressive! Yes, it would be nice if the watch could deal with mud too!! We have a hedgehog shoe cleaner that helps a bit with mud, but my trainers have grooves on the bottom and the mud does seem to get stuck in there. I often just let them dry out a bit and put the muddy shoes on newspaper in the cupboard, figuring the mud will sort itself out on subsequent runs :P I'm not sure that is the best approach though! I am really enjoying just going for long walks at the moment. As much as I love running, it's sometimes nice to just slow down. Your Garmin watch sounds excellent - I must recommend to a runner friend of mine. I definitely give it the stamp of approval! Your route looks nice. Much more scenic than any of my routes. But that could just be because I've been running them for so long and I could use a change. I'm lucky I don't have to deal with mud much.